My rating: 8.5/10. Very good watch. Popular ceramic design. Today I’m doing an Emporio Armani AR1400 review. Armani makes some very stunning watches, and you wouldn’t expect anything less from one of the leading designer fashion brands in the world. Thier collection of watches are great looking and in high demand. If you’re after a fashionable designer timepiece then this may be the watch for you. 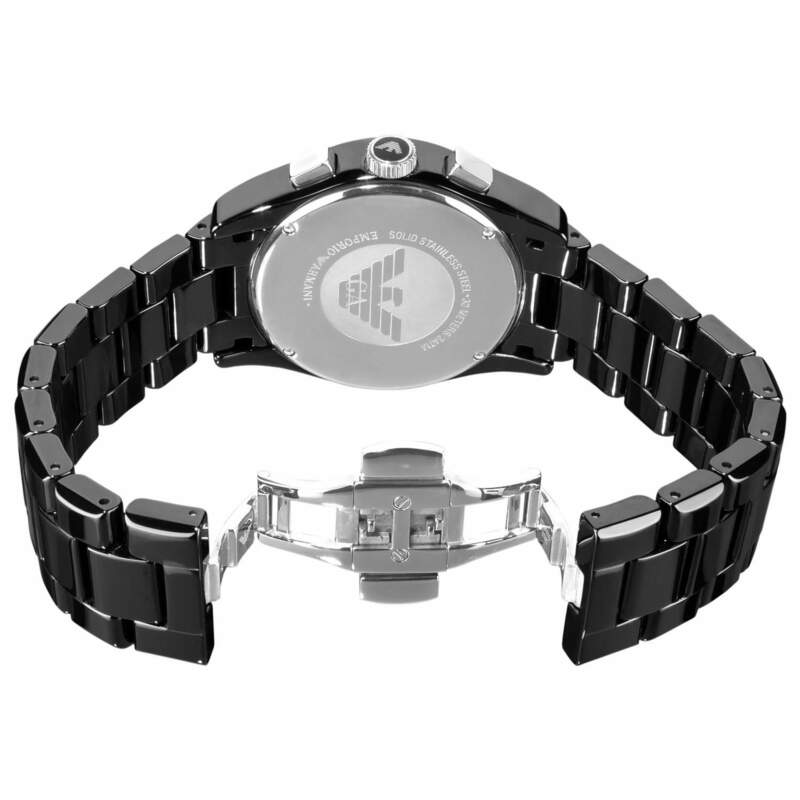 Today the Armani watch that I’m featuring is the AR1400, it’s a black ceramic trendy looking watch that has a very easy to read sleek design. Ceramic watches have become very popular over recent years, one of the key benefits to ceramic is that they are highly scratch resistant. They’re also lightweight and great for people who have allergies to metal. The only downside is they could still shatter if you dropped them, that’s worth keeping in mind. I really like the design of the dial, the white hands and numerals really stand out on the black background making this a very easy to read high visibility design. It has 3 chronograph sub-dials as well which are spaced out quite nicely. The date display is located between the 4 and 5 o’clock markers, I’m not sure if I would have preferred the watch without the date feature, though, it puts me off the dial design a little. When it comes to the size of the watch it’s all fairly standard for popular watches these days. It has a 42mm diameter and a 12mm thickness. Whilst it’s classed as a large timepiece it’s fair to say most men’s watches are being bought out in this sizing recently. As for the watch movement, they’ve gone for a Japanese Quartz battery movement. These are fairly common for their good level of accuracy and affordability. As for water resistance, it has 30m which is ok for a watch in this style, but admittedly it’s not very much. 30m makes this watch suitable for everyday use. Splash/rain resistant. Not suitable for showering, bathing, swimming, snorkelling, water related work and fishing. 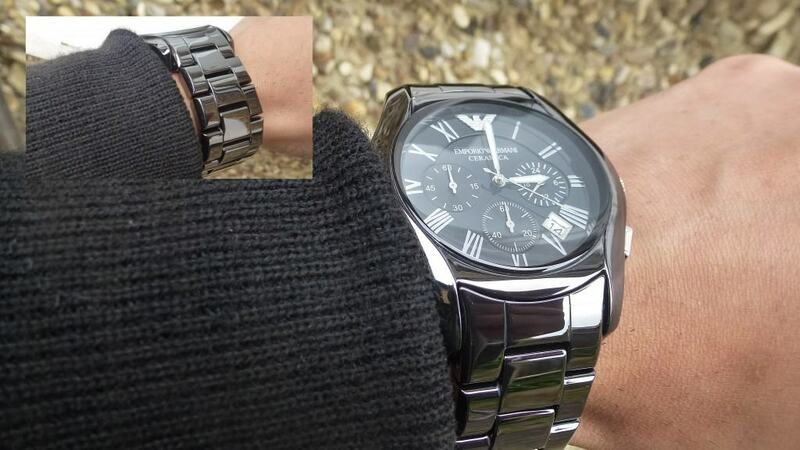 One of my favourite features of the watch is the hidden deployment style clasp that I’ve included a picture of below. Band Ceramic, standard length, Hidden deployment style clasp. Case Ceramic casing, sizing diameter: 42 mm and thickness: 12 mm. Dial Analogue display. Features a date display. The window lens is made of mineral crystal. Water Resistant A water-resistance of up to 30m / 3 bar. 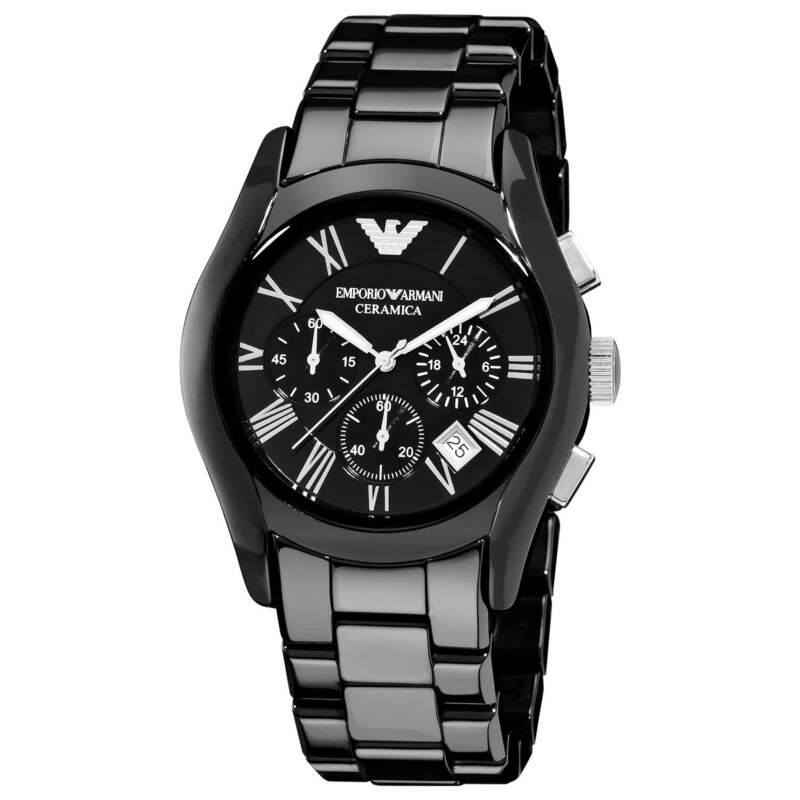 The Emporio Armani AR1400 undoubtedly looks amazing. 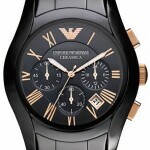 Armani watches have always been very popular for people who are looking for something smart and stylish. I really liked the design of the dial and I’m a very big fan of ceramic watches. Overall I really like the watch, I’ll admit the pricing is a bit of an issue for me, and it would be for some watch snobs. 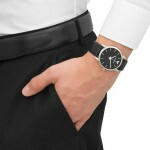 But if you’re after a designer wristwatch that looks the part then it could be ideal for you. After taking everything into account, such as design, build quality and price, this watch received a well deserved 8.5/10 from The Watch Blog. I like to stick to listing retailers that I’ve actually had experience buying from in the past. Below I’ve listed 3 of the top places to buy this watch from, check all 3 for the best price. 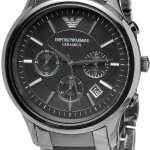 Hope you enjoyed this Emporio Armani AR1400 review. Find more watch reviews below.